In the past three years a number of films have focused on the poets of the Beat Generation, with Howl, On The Road and Big Sur all enjoying varying degrees of success. Now it’s the turn of first-time filmmaker John Krokidas, who has admirably found a fresh perspective with Kill Your Darlings. What’s it about? Set in the 1940s the film follows Allen Ginsberg (Daniel Radcliffe), an aspiring poet who – following in his father’s footsteps – has just been accepted into Columbia University. Once there he is quickly drawn to the rebellious and charismatic Lucien Carr (Dane DeHaan), and the two become fast friends. Along the way, Carr introduces Ginsberg to other would-be writers William Burroughs (Ben Foster) and Jack Kerouac (Jack Huston) and together they form ‘The New Vision’, committed to straying from restrictive rhyme and meter poetry. However, as Ginsberg becomes further enamoured with Carr, the latter’s relationship with infatuated lover David Krammerer (Michael C. Hall) comes to the fore. 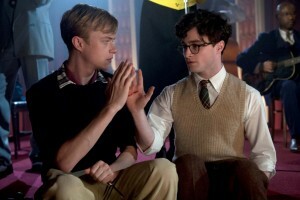 Verdict: By smartly positioning Kill Your Darlings as an origin story of sorts for these literary icons, it grants Krokidas (and co-writer Austin Bunn) more creative liberties. Additionally, it makes the pic far more accessible, as you don’t need to be a fan of the Beat movement to identify with the coming-of-age film that Ginsberg undertakes, with early scenes reminiscent of A Beautiful Mind in how both John Nash and Ginsberg’s creative minds try to rebel and find something unique. In his feature debut, Krokidas displays a strong sense of voice with some bold directorial decisions, many of which pay off. The mixing of contemporary and period music, for instance, is inspired. The only weakness is the storytelling structure. Krokidas and Bunn’s screenplay chooses to reveal a lot of information about Carr in the film’s final minutes rather than intersperse it throughout, and the result is that the dramatic moments of the final act don’t pack the punch they should. The relationship between Carr and Ginsberg is the film’s focal point, and fortunately Krokidas has two of the most engaging young actors in the business in the pivotal roles. Radcliffe’s brave performance is as fearless as it is impressive, but the standout here is DeHaan; playing the cool kid (as opposed to the outsider in Chronicle) with relish, he is a magnetic presence throughout. Krokidas’ cast is stocked with heavy hitters, and all of them bring their A game. Notably, Hall exudes sad vulnerability to painful effect as Krammerer, whilst Jennifer Jason Leigh is particularly efficient as Ginsberg’s sick Mother. Final Words: Anchored by superb performances, Kill Your Darlings is a well-realised, viewer-friendly interpretation of the Beat movement’s early days. The future is bright for Krokidas. 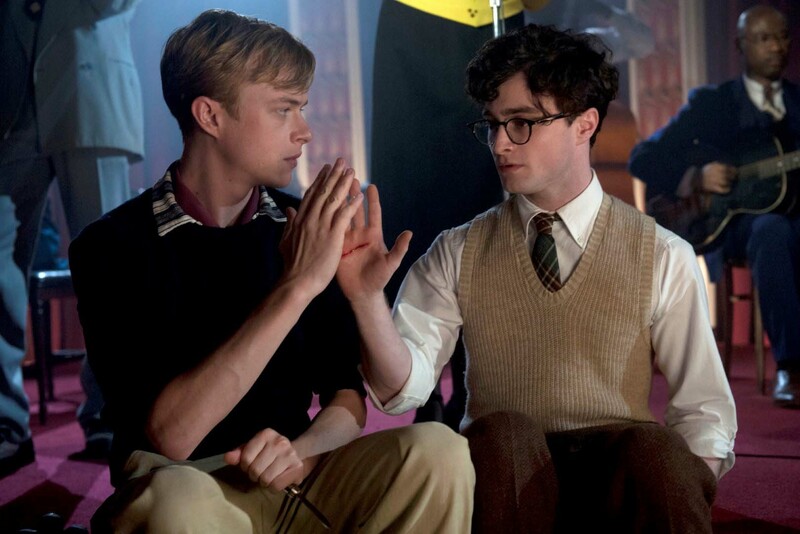 Kill Your Darlings is in UK cinemas on 6 December 2013. One comment for "Kill Your Darlings Review"